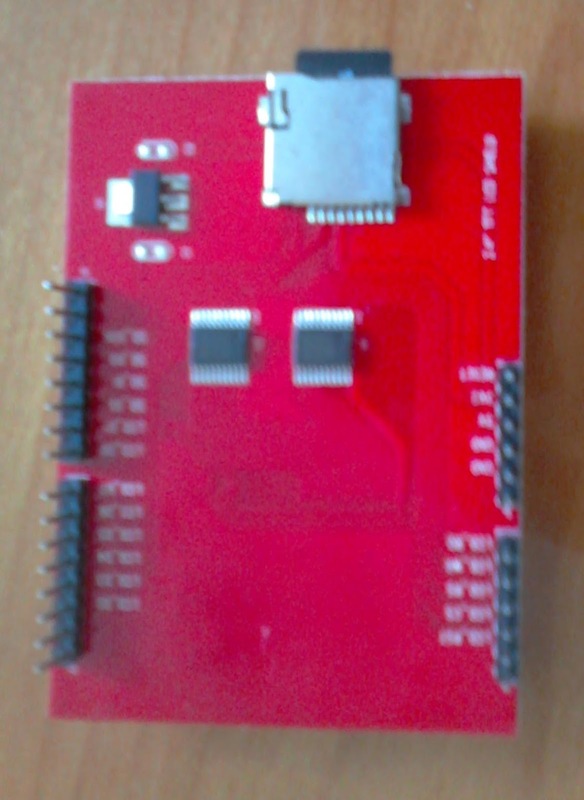 The program below reads the analog signal and outputs it to the serial monitor..
Open serial monitor to see the values. 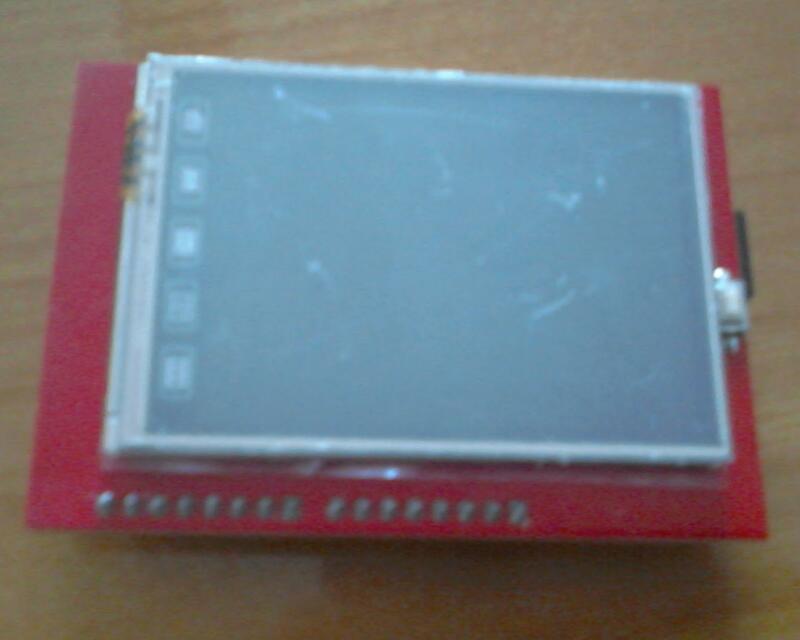 In this blog you find are pictures of the shield LCD shield i wanted to test. 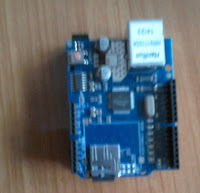 My shield has no connections or parts where the USB port is located therefore i did not insulate it. 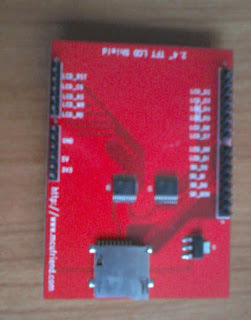 My shield has also an SD card reader that i tested earlier . 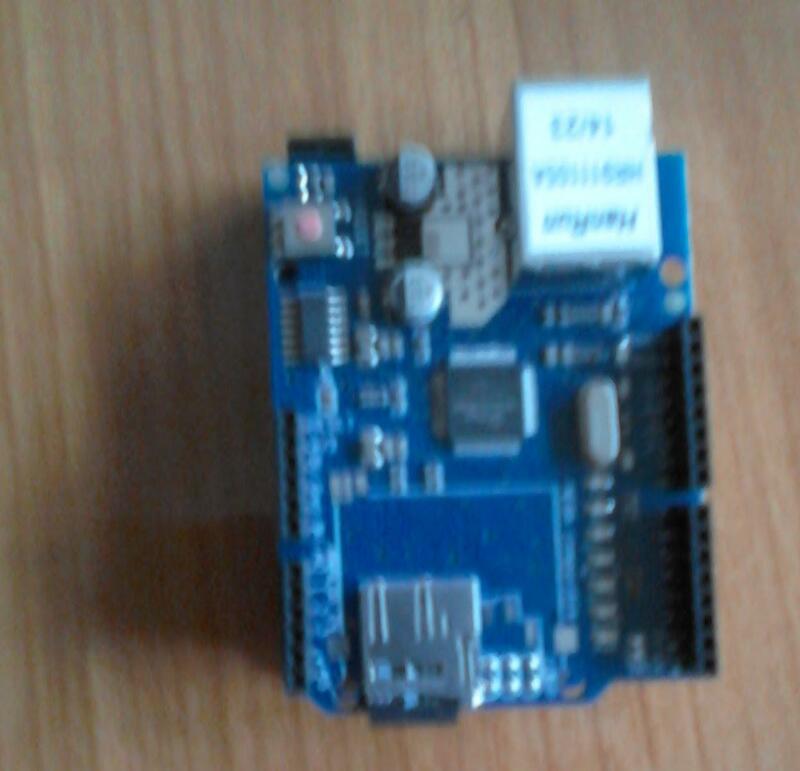 Another Arduino codebender program that worked on my shield is the program below. The first time you need to be patient before you see something on the display. The Serial Monitor outputs some statistic. 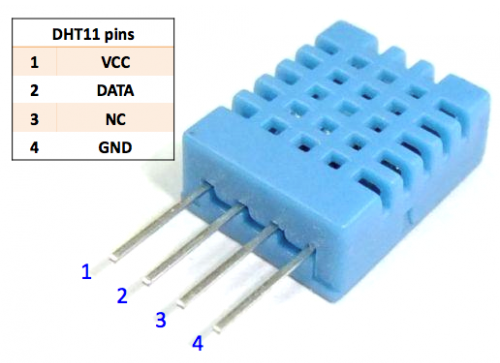 The pin layout can also be different. 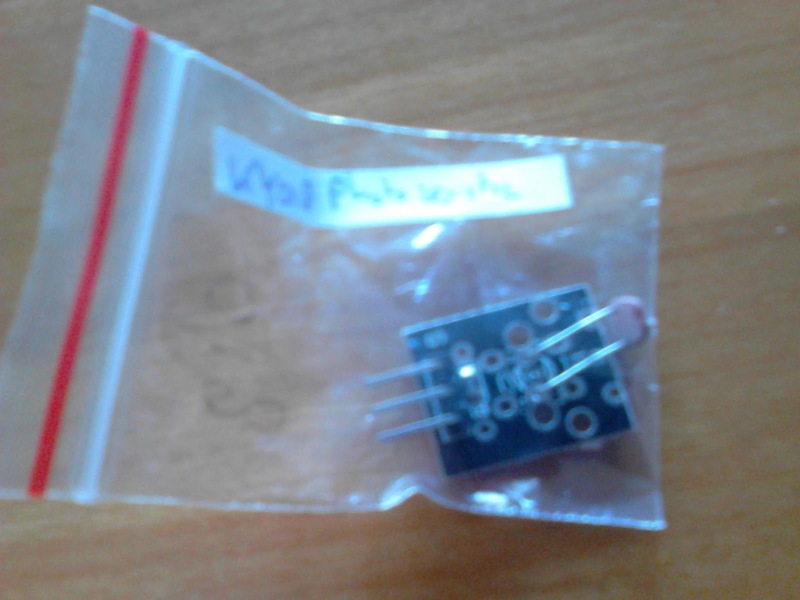 I tried my RGB led module (after adding the additional Resistors) but i did not get my module working ! 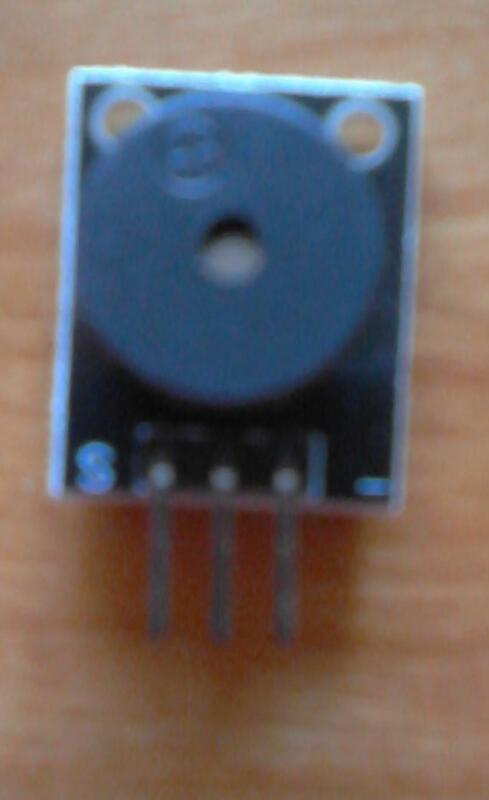 Remark : My LED module did not work! 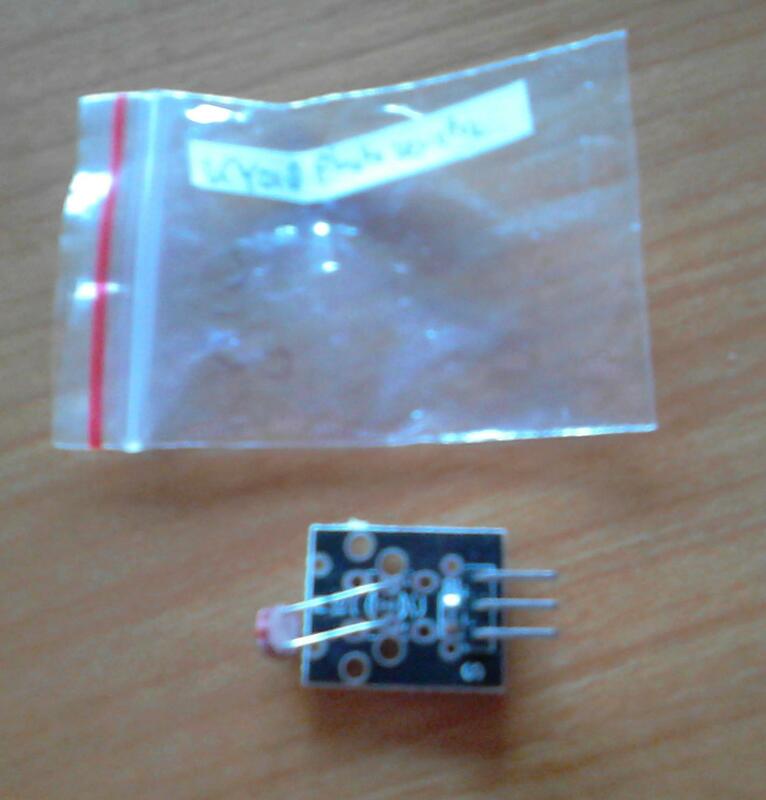 Using PWM it would be possible to get different colors on the SMD led. So if you are tight in sketch space, it’s a good idea to find a smaller library. For the programs below you need the ( codebender ) Serial Monitor as interface. Get info about your SD card. Log data from three analog sensors to an SD card. Read a file from the SD card. Create and destroy an SD card file. 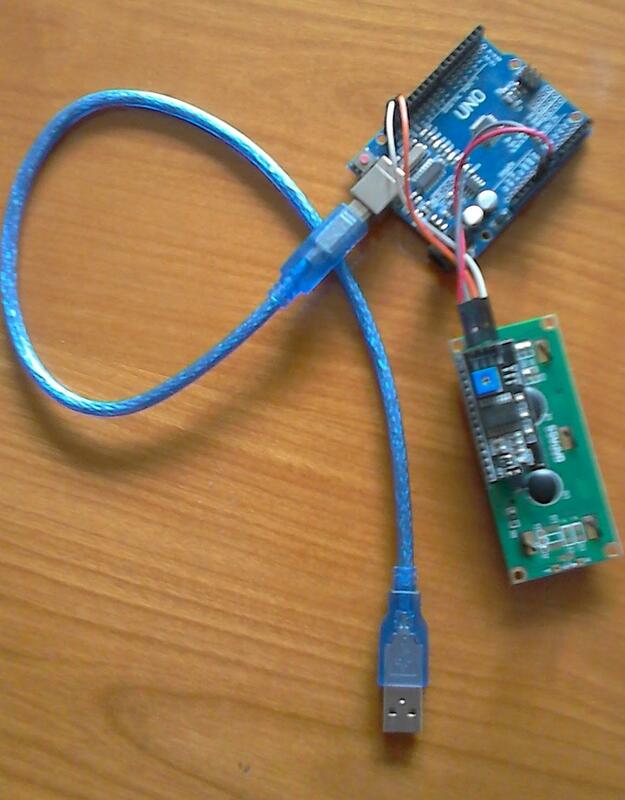 This demo program on https://www.arduino.cc/en/Tutorial/Files did not work. Print out the files in a directory on a SD card. Read and write data to and from an SD card. work also direct out of the box. I tried it and ... not working. 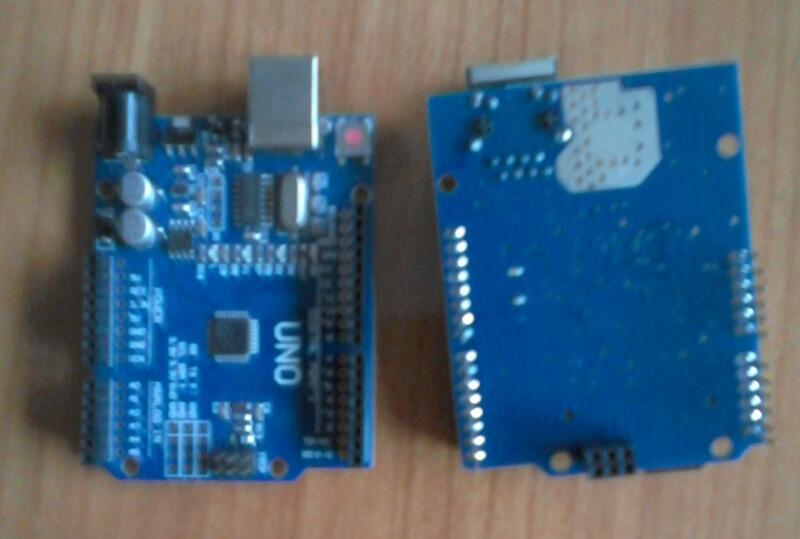 Expect the chip select pin for the SD card in on this LCD shield is 10 ( not 4 as on the Ethernet shield). Tested this with changing this in one of the scripts above ( ReadWrite ) and it worked ! Library options as the default lib is huge! 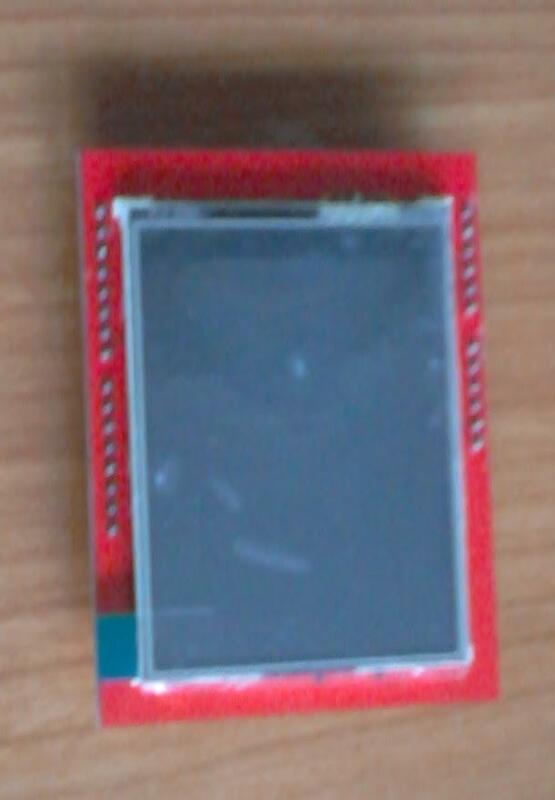 Made LCD 1602A with I2C interface working with Arduino after using the Arduino LCD shield for some tests. 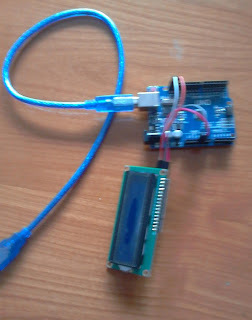 The disadvantages of the Arduino LCD shield are that it uses s lot of the Arduino IO pins and fitting it in a nice box can give some problems with nthe IO connections. 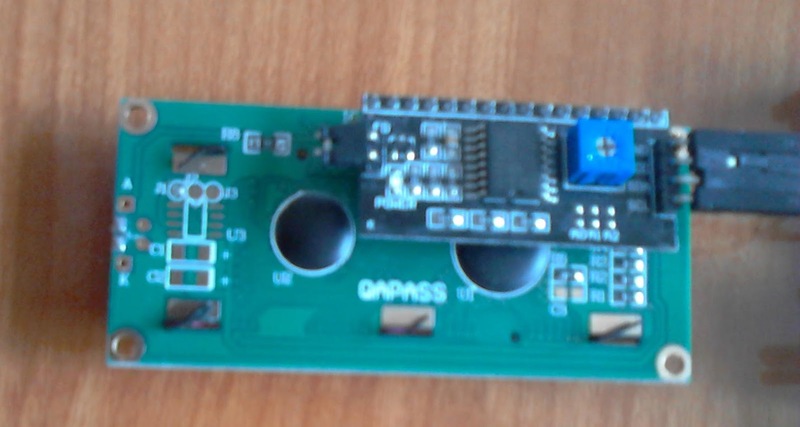 The module LCD1602A with an 16x2 display i received from China had a separate I2C interface module, so i soldered them first together. There are several discussions and misinterpretations about this module. I hope this post will help some people. It took me time than expected to get the module up and running. The problems where more hardware than software related. The article http://forum.arduino.cc/index.php?topic=128635.0 on the Arduino forum helped me a lot. Connect GND, VCC, SDA and SCL to the corresponding connections GND, VCC, SDA and SCL on the Arduino Uno. I did not connect them to the analog input lines as suggested. Test the LCD with a program where, if needed, the I2C address is modified to the address found with the I2C scan program. This part was the most difficult. Sometimes adding libraries was needed, and even after this some additional libraries where also needed. 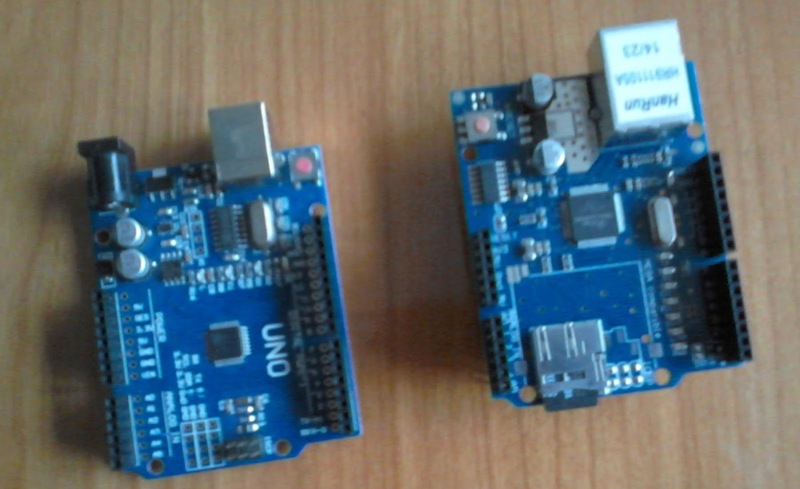 Step one in the article on the Arduino forum also suggested downloading and renaming a library. Sometimes i observed reactions of the LCD (blinking/ flashing). Getting characters on the LCD screen did not work. I tested several programs. 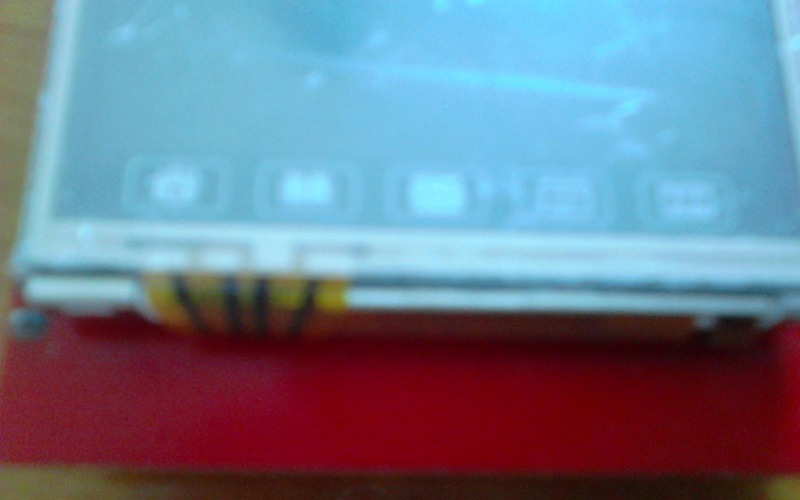 The real problem was the contrast of the pixels on the LCD. You can change the pixel contrast by inserting a screwdriver into the pot meter ( potentiometer ) at the back and turning it. For me the setting of the pot meter was the most critical step. Characters are visible only in a very small range. The pot meter is for the pixel contrast. The pot meter is NOT for the back-light ! 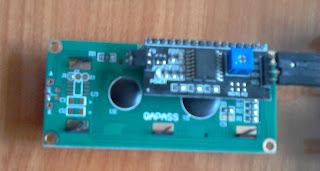 I already had played with this pot meter using some of the LCD programs but without success. The program where i had luck was written for a 4 x 20 display. I only had modified the I2C address in the program and suddenly during slow turning the pot meter i had my output. 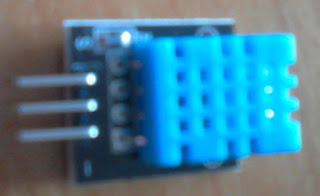 It should be possible to change the I2C address using the A0 A1 A2 pins on the I2C interface. This way you can connect multiple displays. I did not test this (yet). 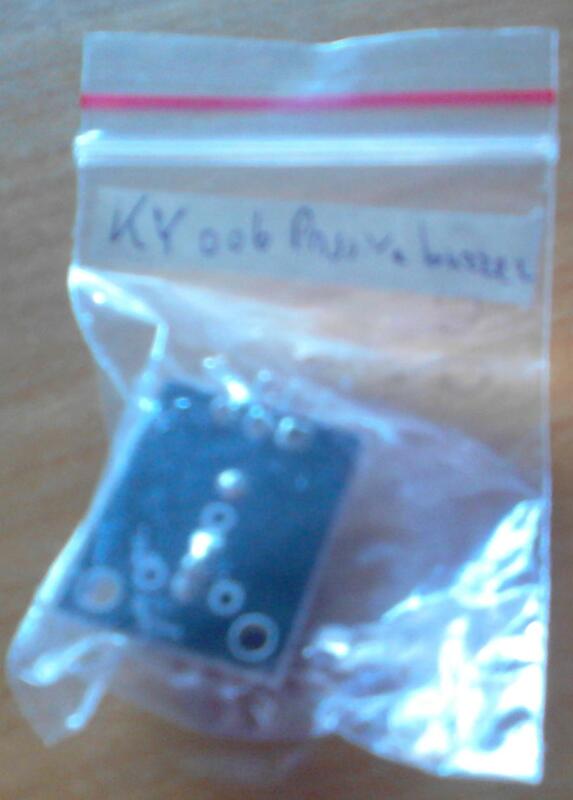 On my blog you can also find a test of KY-006 with Arduino.